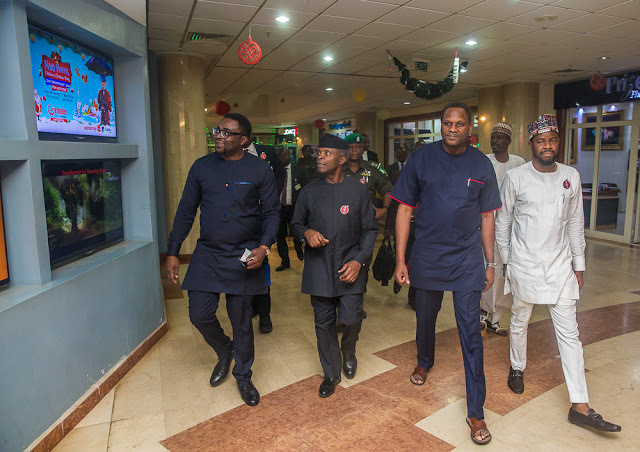 Vice President Yemi Osinbajo says he is at Genesis Cinema where he hopes to watch Nollywood’s most recent highest grossing movie, Chief Daddy, with youths this evening. 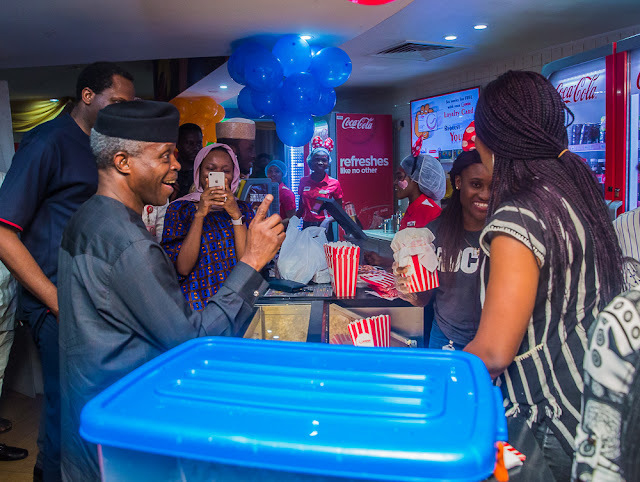 In a tweet via his verified Twitter handle, @ProfOsinbajo, the vice president could be seen sharing jokes and popcorn with excited youths. Chief Daddy tells the story of billionaire industrialist Chief Beecroft, a flamboyant benefactor to a large extended family of relatives, household staff and assorted mistresses. Chief Daddy lives large, like there’s no tomorrow, until the day he dies suddenly and the money rain stops.